Ideal LOCATION in the heart of San Luis Obispo -a mere 2 blocks from downtown center! 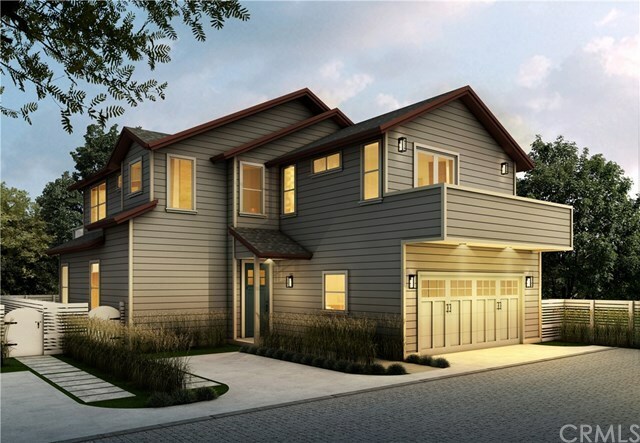 Introducing this rare enclave of four freestanding, custom built homes with no HOA fees! Enjoy magnificent mountain views of Cerro San Luis and the surrounding Santa Luciaâs and all SLO has to offer just out your front door. Each home design combines an efficient use of space with attention to detail, finish, and quality. The living room, kitchen, and dining areas open to the expansive patios to create an idyllic indoor/outdoor living space. The kitchen features premium appliances, custom cabinetry, quartz countertops and a walk-in pantry. Features like high ceilings, eight foot doors, lavish trim detail and authentic hardwood floors give this home extra charm. The master suite features vaulted ceilings, large walk-in closet and dual vanity. All bathrooms have been completed with a modern touch, completely tiled showers and custom mirrors with inlay light detail. Each home is equipped with a 2 car garage as well as a shared private driveway with decorative pavers. The conveinent 3 mile drive to the airport makes traveling to and from Seattle, Denver, Phoenix, LA and San Fransisco an absolute joy. These homes are the perfect mix of sophistication and comfort. Completion is slated for March 2019.